Ah, the great outdoors! There is nothing more relaxing than a perfect view of an amazing landscape. It feels as if nature is inhaling and exhaling in sync with each breath you take like you are one with the earth. Now the only problem is that you can't have that same peaceful feeling in the comfort of your own home. That is, not until now! 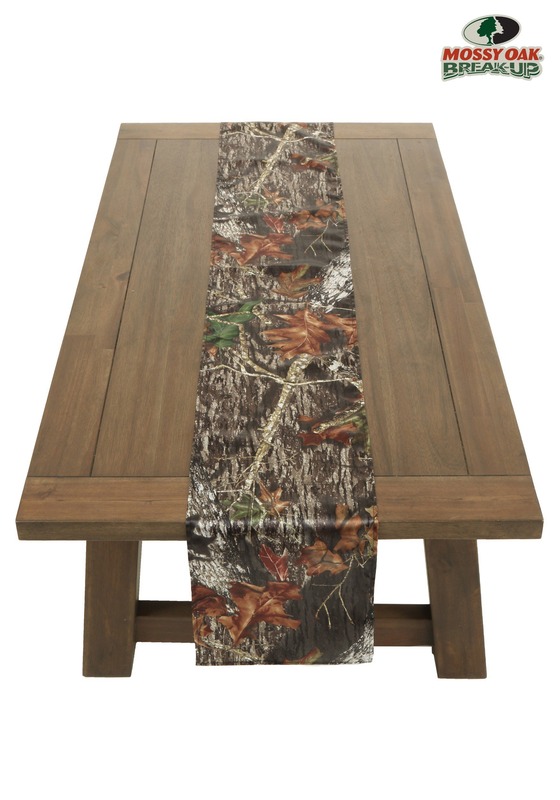 With our 90'' Mossy Oak Table Runner you can finally bring all of the beauty and wonders of the outdoors with you inside. This beautifully designed table runner will look great in your living room atop a coffee table or in the dining room on your dinner table. Even over a fireplace spread out across the mantel would be a perfect place to lay this runner, just about anywhere that your guest will be sure to see your declaration of love for nature. Get the rest of our mossy oak decorations to really make your guests question if they ever left the outdoors when they walk through your front door.